I hope everyone is doing well and enjoying a nice relaxing end of the year holiday. We’ve had a busy season entertaining Christmas shoppers, moving back upstairs, unpacking into our new home, and providing the finishing arrangements for our most ambitious exhibition yet. Although everything moved relatively smoothly for our holiday shoppers, there were a couple of parcels that didn’t make it in time for the rush. Now that they’re here, it might be for the best as it freshened up the showroom, and saved us from frantically placing new orders to re-stock our shelves. As mentioned in the Post name, we have a new collection of goods by wood artisan Tomiyama Koichi, and ceramicist Masanobu Ando. Interestingly enough, the packages arrived together and their contents would satisfy even the pickiest coffee connoisseur. So I present to you Mjolk’s obsessive coffee drinker collection! Top left: Coffee trough – hand carved from a single block of chestnut wood, it is incredible to see in person ($150). 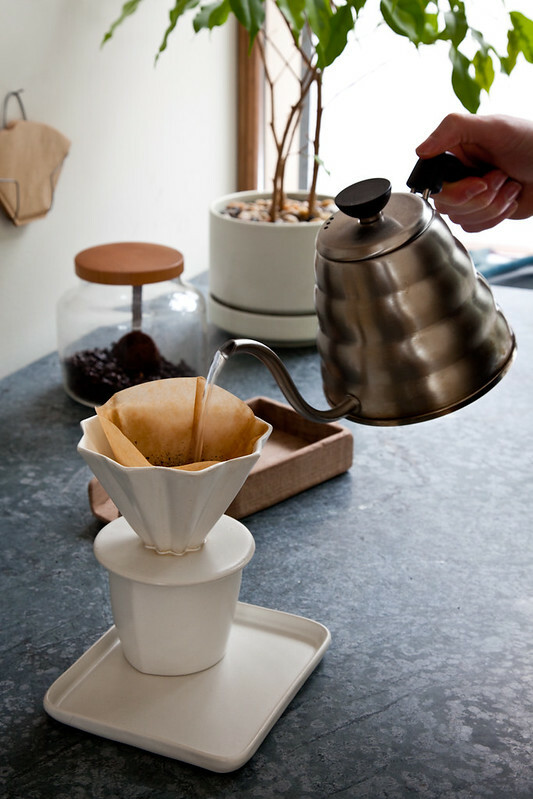 Top right: Star coffee dripper – the perfect dripper for “pour over” style coffee ($80). 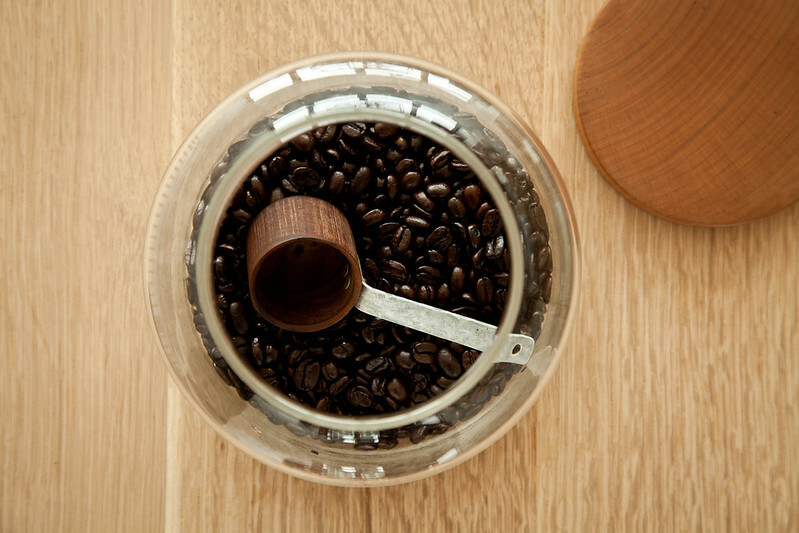 Bottom right: Coffee scoop. The scoop is made from chestnut and the handle is made from aluminum that Koich-san reclaims and hammers into shape ($65). 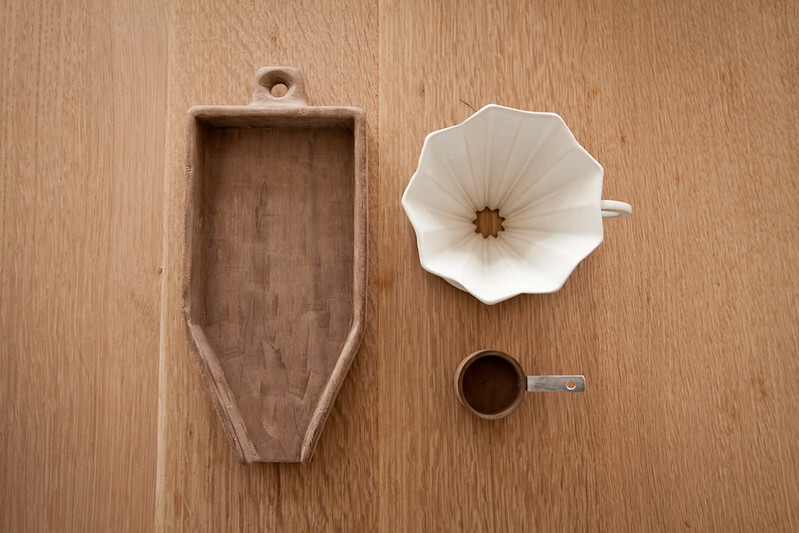 Here’s our coffee scoop which started it’s life as the pale chestnut in the above photo. The coffee stains the wood a nice walnut colour over time. This jar was a collaboration between glass artist Kazumi Tsuji (who we represent in the store) and wood artisan Ryuji Mitani. 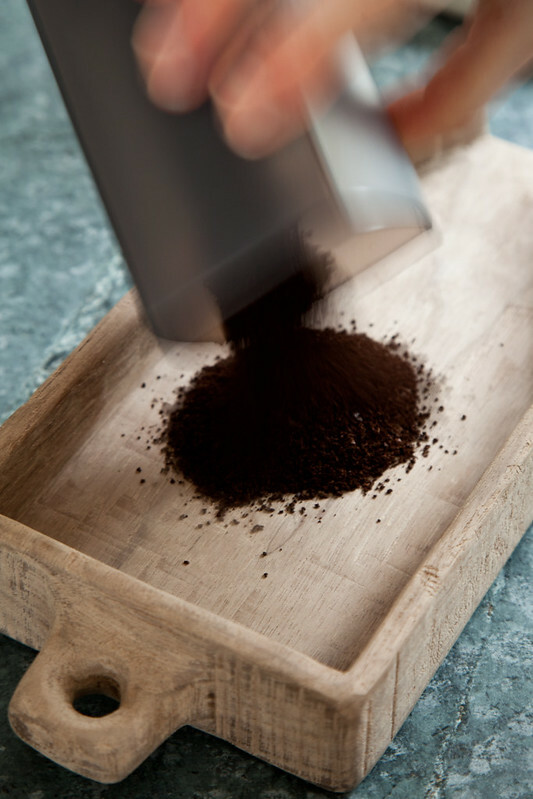 After the coffee beans are ground, they are transferred to the coffee trough. 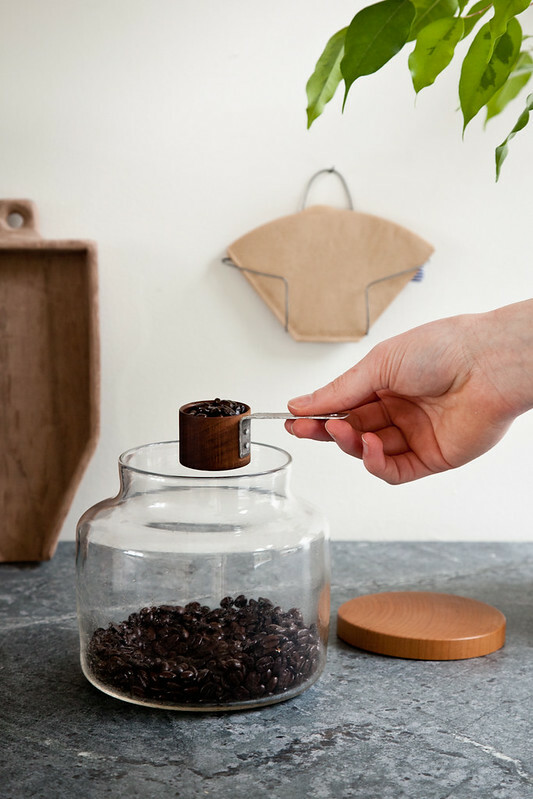 This allows the grounds to be added to the dripper neatly. 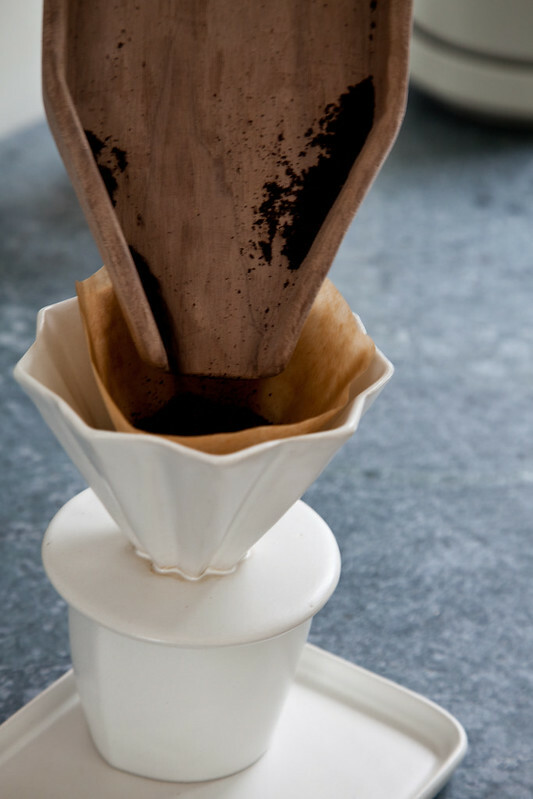 A little tip to keep the paper filter attached to the ends of the dripper and to prevent the paper from breaking is to wet the paper before you add the grounds. 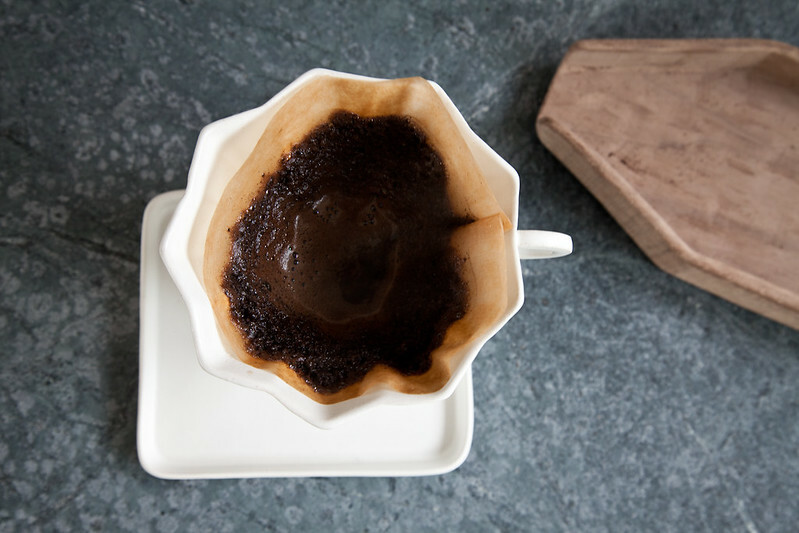 This removes the paper taste and warms your mug up for you – always remember to remove the water before making your coffee. 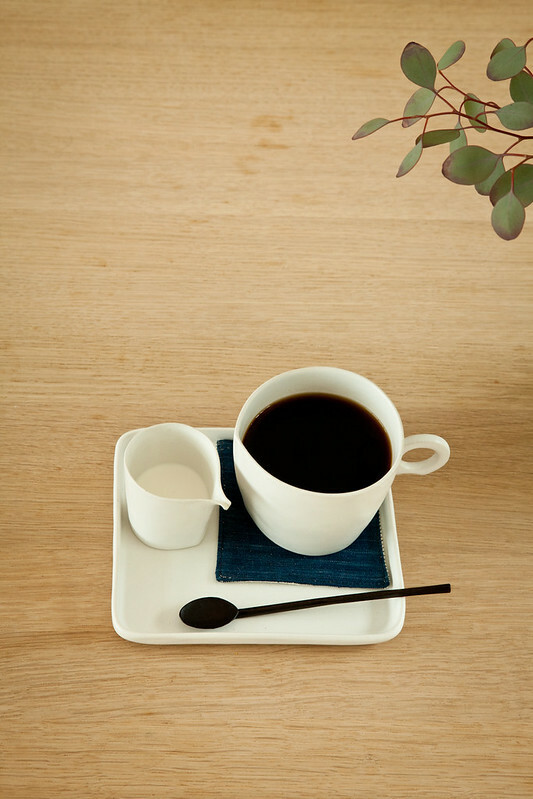 We received a handful of these tiny beautiful milk pitchers by Mr. Ando ($50). I’m so sorry we have already sold out of the Masanobu Ando mug! 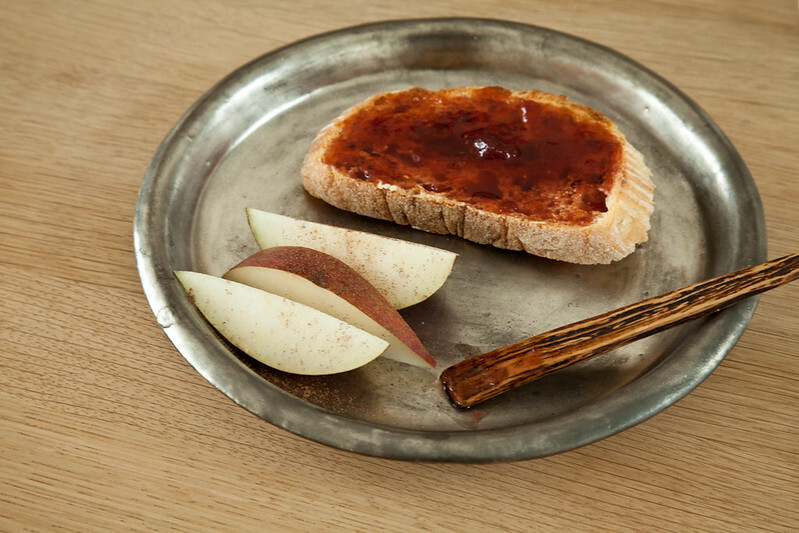 A silver glazed ceramic platter by Masanobu Ando ($140) with a specially made wood spreader by Tomiyama Koichi ($38). 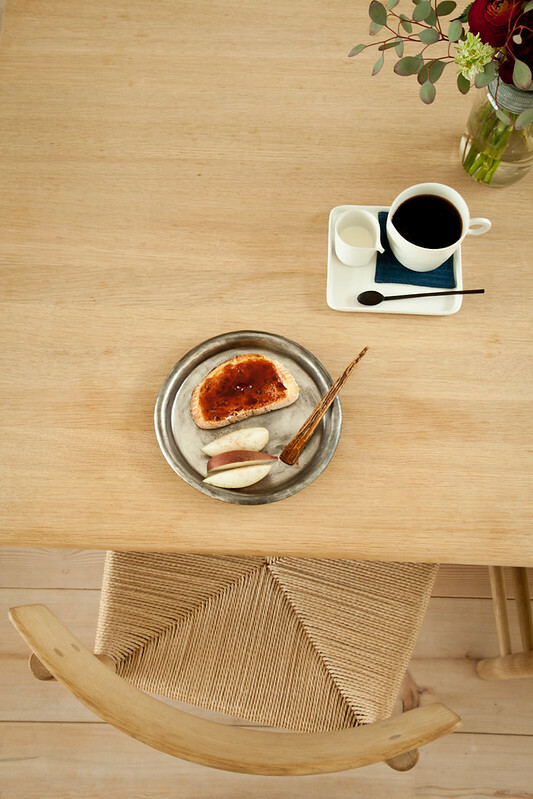 Our dining table, chairs, and a nice little coffee break. 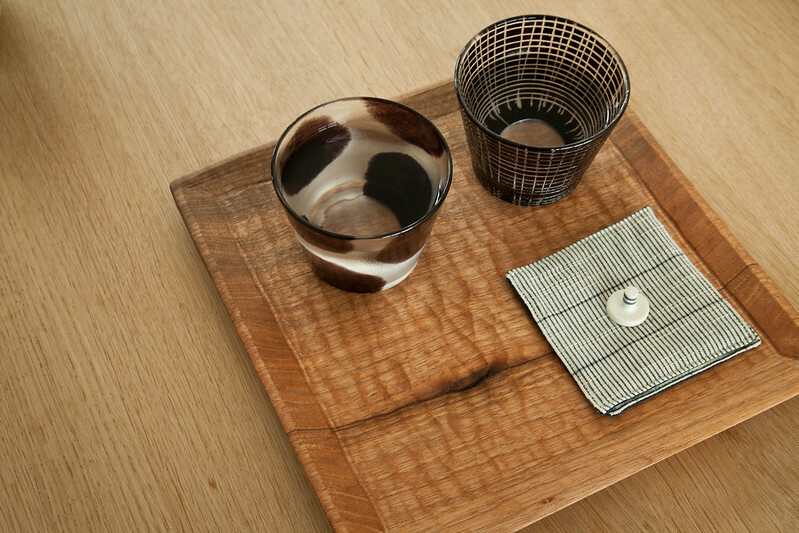 Finally a new addition is this hand tooled Japanese walnut tray made by Tomiyama Koichi ($340). The depth is created by gouging the tray with a chisel, the edges are softened but retain their square shape. 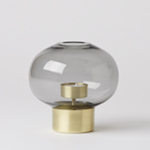 Glasses above by Tsuji Kazumi available for $85. Please note that these works are limited and unique so they might not be added to the Mjolk web shop, please contact us for availability. Wowee! It’s been three years and we love Mjölk and our customers more and more every day. Thank you so much for your continued support and enthusiasm. We couldn’t do it without you. As a lead in to IDS2013, we will be having a retrospective exhibition of CKR works, as well as a launch for an exclusive Claesson Koivisto Rune + Mjölk product. 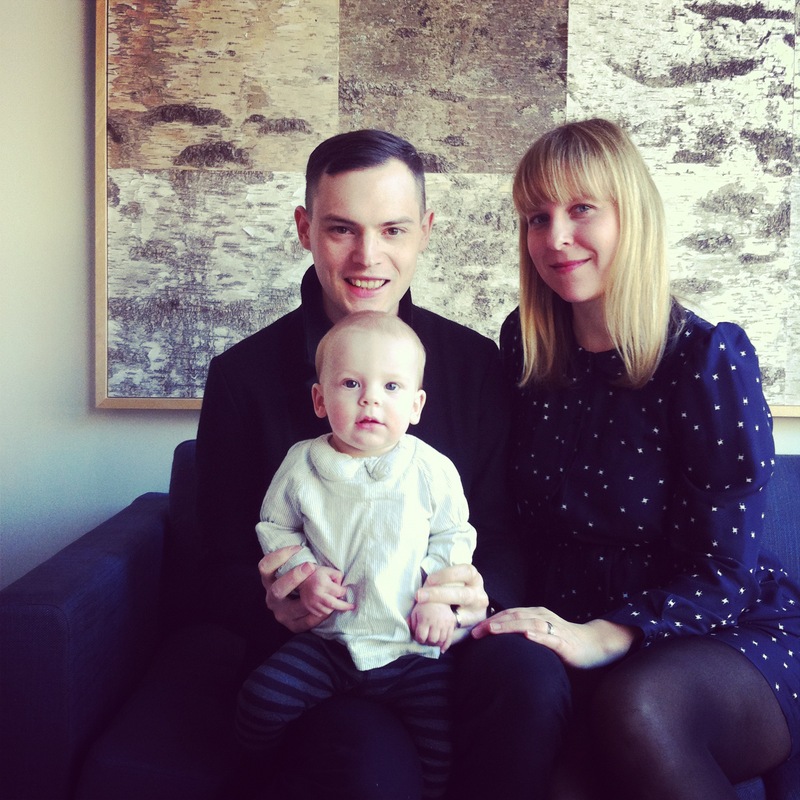 Claesson Koivisto Rune will be in attendance. A featured artist in Mjolk volume II, and one of our favorite glass artists. She’s visiting us all the way from her studio in Kanazawa Japan! We are honoured to be transforming our showroom to feature a collection of George Nakashima’s works. Mira Nakashima will be in attendance. As always, come by today, pick up a complimentary cookie by Lindsey and say hello! 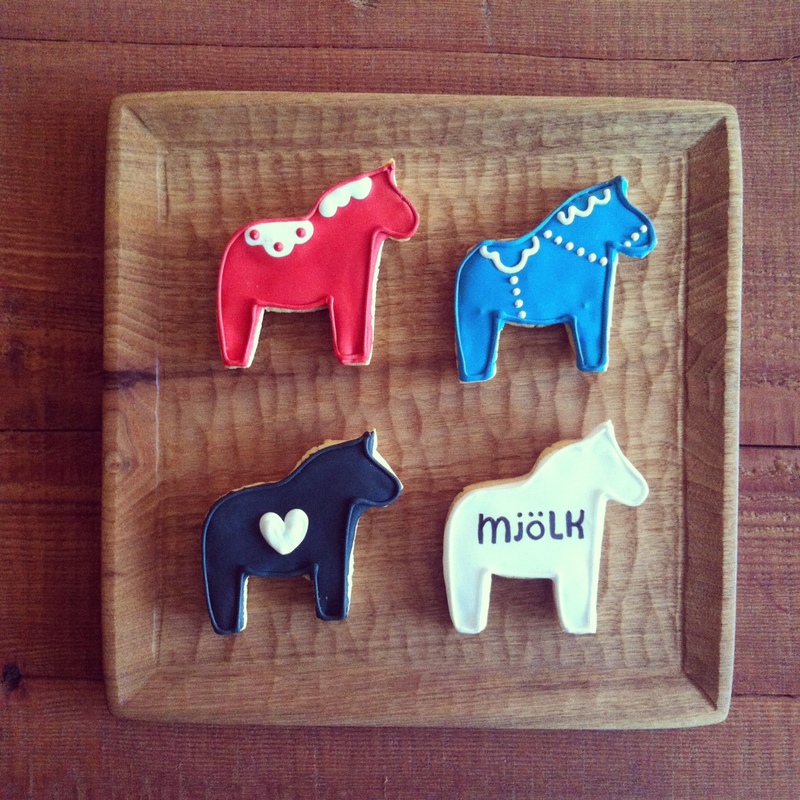 HAPPY HOLIDAYS from the Mjölk family: John, Juli, Elodie, Frank and Lauren.